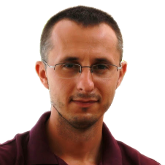 I'm Asmir Mustafic, I'm a Software Architect and IT Consultant, currently located in Berlin. this includes requirements analysis, planning, implementation, coaching and maintenance. I'm also an active open source contributor and occasional speaker. On the web I am also known as "goetas". Often the functionalities added to an application are independent-enough but they end up anyway in the main code base increasing the code size, complexity and coupling. A common strategy to raise application maintainability and extensibility is to have external plugins/bundles/modules keeping the application core as smallest as possible.